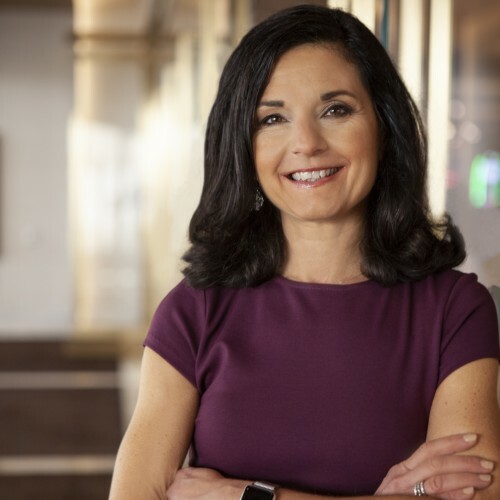 A change agent and trusted advisor to the C-suite for decades, Denise Graziano helps companies differentiate and gain competitive advantage in their market, by leveraging the power of positive employee and customer experiences. Companies and high-level leaders often don’t realize the challenges and impressions they’re presenting to their team members and customers. ​Miscommunication, lack of clarity, and feedback not being heard, valued, or understood can start to erode productivity and trust. Denise helps companies see how their interactions internally with employees and externally with customers could be sabotaging their growth and how to correct it. Denise Graziano is a leading authority in helping mid-market companies to improve trust, relationships and communication inside their organization with employees and externally with clients to increase revenue, retention and loyalty. A strategic thinker and leader with over 30 years of business experience, Denise is a speaker and bestselling author of Talent is a Team Sport. In ​Talent is a Team Sport I want to bridge the gap and present solutions and emerging best practices that enable you to have the personnel to serve clients now, fill your pipeline for long-range plans and help give you a competitive edge in your market. This will take the involvement and effort from of all the C-suite branches. It will take a nimble approach, an open mind, and a reality check, because companies are not in as much control as they believe. Denise is a high energy, innovative leader and speaker. She enjoys sharing actionable insights and motivating company leaders on the economic impact and importance of leadership collaboration and communication on to find, attract and retain the talent they need to be future-ready. She presents and distills complex topics in a practical, relatable manner, designed to help generate results for her audiences and clients. Denise speaks nationwide and delivers presentations in any format: Keynote, Breakout, Workshop, Executive Roundtable. Find out more about Denise Graziano at https://grazianoassoc.com.